We cordially invite you to join us for the Grand Opening our small business incubator in downtown Binghamton. 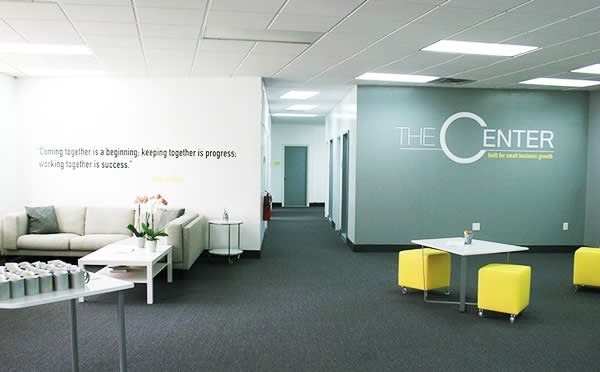 The Center: built for small business growth, provides the physical infrastructure and support system for business start-ups to grow vibrantly into the local economy. \nWe're all working from a new business model and The Center is designed to provide a foundation of support so that entrepreneurs can transform ideas into viable businesses. \nCome see our new space, meet our member companies and learn how The Agency is becoming an active participant in the entrepreneurial ecosystem! We'll also introduce you to our Entrepreneurs in Residence who, with specialized knowledge and expertise are bringing vital resources to local entrepreneurs. \nThrough our partnership with Binghamton University, our incubator space is available to START-UP NY eligible companies and we are a proud member of the Southern Tier Startup Alliance; a regional consortium of business incubators providing entrepreneurial support and tax incentives for eligible companies through the NYS Innovation Hot Spot program. Our Grand Opening will immediately follow the SUNY BEST presentation, "College Towns Revisited," at the BU Downtown Center from 10-12 p.m.
Click here for the location of the State St. parking garage. Click here for the location of the Collier St. parking garage. We hope to see you on June 4th!